How much does it cost to do a Loft Conversion? Different types of loft conversions have varying prices. 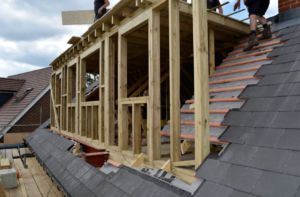 A Dormer loft conversion would cost from approximately £33,000. A Rooflight loft conversion would cost from approximately £25,000 and the most expensive one is the Mansard or Hip to Gable loft conversion which costs from approximately £40,000. When you are thinking of doing a loft conversion, the biggest worry for you might be the cost . The figures stated above are a rough estimate on a small bedroom loft conversion. The price may change depending on where you are in the country, the size and complexity, nature of your roof and the interior design of the loft conversion. You might also need to make alterations on the lower floors of your house such as stairwells and for fire safety. Another consideration is whether you need to install plumbing if you are creating a bathroom in your loft conversion. As all projects are unique, it is very important to consider all the costs in building and also any new ideas for the interior. It’s a good idea to work with an architectural designer to gain a more accurate cost of your loft conversion and to identify the best type of loft for you and your space. The local authority in your area may have specific guidelines and so researching the area and past conversions can give a good indication on the type of loft conversion that is available to you.